Arm and shoulder stretches can be tricky. Since your shoulder is a ball and socket joint, you'll want to stretch it through the entire 360 degrees that it can rotate through. These stretches will help you stay limber. And if some of them are challenging at first, keep working on them. You don't need brilliant flexibility, but you should be able to use most of the stretches on this page effectively. 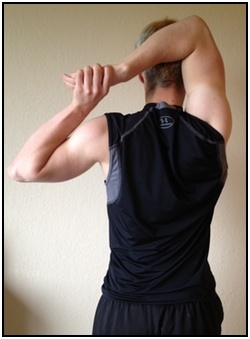 This is a dynamic stretch, meant to loosen up your shoulder and give you a full range of motion. 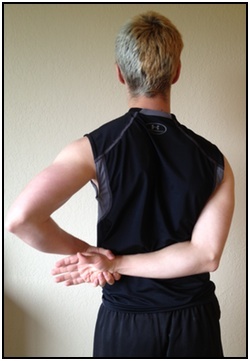 It's one of the easiest shoulder stretches, and very useful for limbering up - though not for increasing range of motion. Simply stand and swing your arm clockwise one way a few times, and then then the other. Move it through its full movement range slowly at first, and then faster. You're really just getting the shoulder ball-and-socket joint loosened up for exercise with this. This one stretches your elbow, shoulder, and wrist. However, it hits mostly your elbow and shoulder, and stretches your shoulder towards the outside, making it a very useful shoulder stretch. Hold your arms out in front of you. Cross them, with the arm you want to stretch on top. Grab the wrist or hand of the arm you want to stretch, and pull downward gently. This is an excellent stretch for your shoulder, especially since you probably haven't stretched it towards the outside of your body in some time. This is another great shoulder stretch, and very east to do. Simply place the hand of the arm and shoulder that you want to stretch behind your head (palm facing your head). Then grab the hand behind your head with your other hand and pull gently. 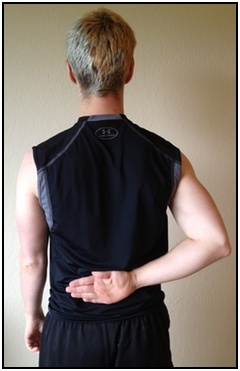 The 'Hand to Lower Back' is the inverse of #3, the hand behind your head. Again, a very simple arm stretch. Simply place the arm you want to stretch behind you, right against your lower back, with the hand palm facing away from your body. Next, grab that arm and gently pull it across your lower back. 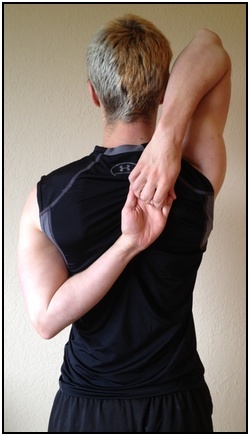 This is one of the simpler shoulder stretches, but very useful and easy to do. 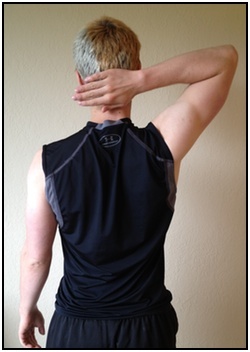 It rotates the shoulder forward, and helps increase range of movement. Simply take the arm you want to stretch and stretch place it across your chest. Then, using the other arm, gently pull that arm and shoulder further forward than they already were. This is the most difficult of the arm stretches here, and it really isn't necessary for most people. But if you really want to get limber, or get out of ninja joint locks in your next kung-fu battle, here it is! Place both your hands behind you back, and grasp them together. Then simply pull. This is a marvelous stretch for you shoulders and elbows. Limbering up your shoulders is helpful, but don't go overboard at first. Especially if you haven't limbered yourself up in a while, go easy. Treat your joints with the love and respect they deserve for helping you get out there, workout hard, and play passionately. 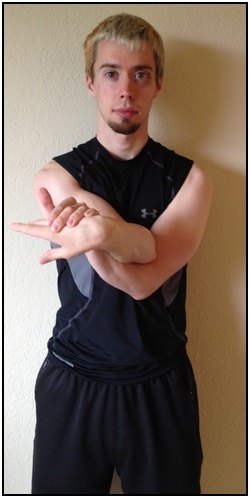 • Click here to learn more about Exercise Stretches & Flexibility! 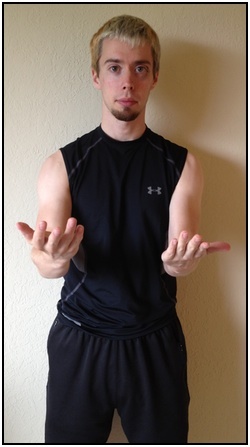 • Click here to leave '6 Simple Shoulder Stretches; A How-To Guide' & go back to the Home-page!